If you have any questions or issues related to the seminar topics that you would like addressed, feel free to send us an email (info@swintoncounseling.com) and we will try to address the questions during the seminar. 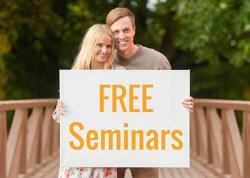 If you have any questions about the seminars, please contact us: info@swintoncounseling.com or (801) 883-8333. Counseling Services: For more information on our counseling services click here.